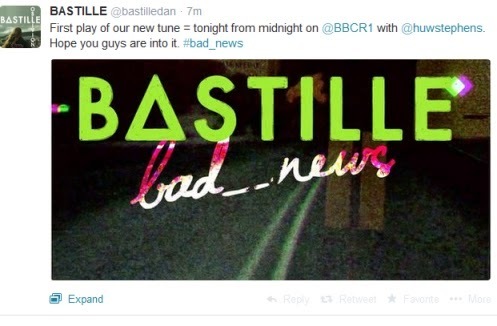 We'll Hear Bastille's 'Bad_news' in 3 Hours! Now, it is clear (see my previous Bastille post :D)- new single! Who's excited? I am!- I don't even feel sleepy, no problem to wait for it! Stay tuned- BBC Radio One (in the right upper corner click--> Listen).